Thousands of lucky festival goers headed to the first ever date of THIS IS TOMORROW, the brand new festival spectacular set in Newcastle upon Tune’s Spillers Wharf at Quayside nearby River Tyne. 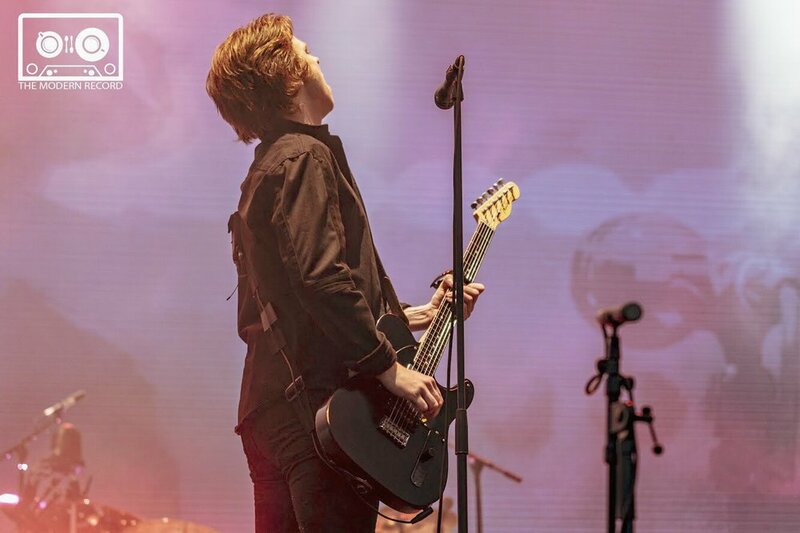 The new festival concept was embraced by fans who witnessed the live comeback from incredible Catfish & The Bottlemen who stormed the stage making it a performance to remember. The festival was kicked off by upcoming Newcastle talented musician Sam Fender. 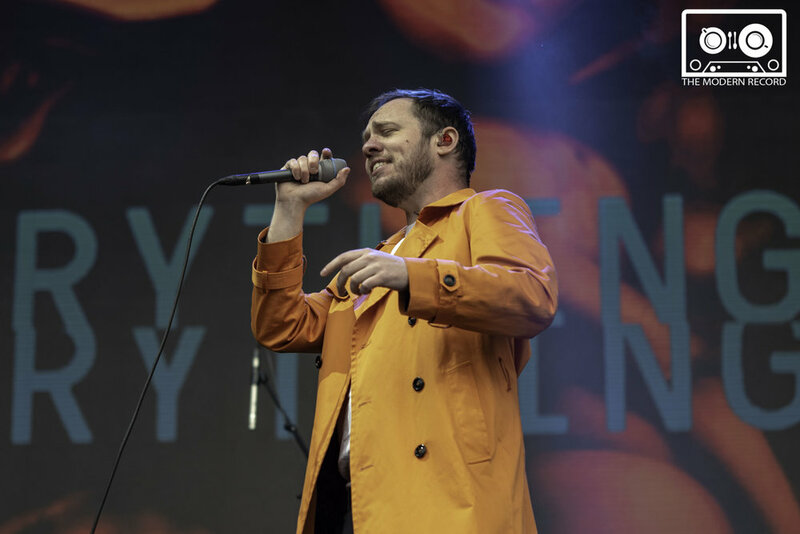 The Newcastle singer-writer attracted home-crowd to witness his short set on THIS IS TOMORROW stage… sending the crowd into good vibes with his powerful vocals. Sam has released his first two singles in the past year; ‘Play God’ and ‘Greasy Spoon’ and ‘Friday Fighting’ earlier this year. His new band seemed to have the lively sound of a top indie group whilst he has the voice of a soul singer. Sam Fender started out as solo singer with acoustic guitar over past the year he now expanded with his new band. He’s definitely one to watch out for, I definitely see him making big time very soon. Next up was Newcastle’s favourites Little Comets. Little Comets came out onto the stage in front massive home crowd ready to see them rock the THIS IS TOMORROW stage. The band played tracks off four albums including ‘Worry’ and ‘A Little Opus’, band also performed tracks off new album ‘Worhead’ including ‘Common Things’ and ‘The Man Who Wrote Thriller’ Little Comets ended with hit number ‘One Night In October’ which went down by storm by Newcastle crowd. Little Comets certainly got the crowd ready for headliners Catfish & The Bottlemen. I’ve seen Little Comets few years ago opening up for Scottish rockers Biffy Clyro and the band have certainly got bigger since then, but haven’t made the big spot yet which I would like to see them take on in future. The support band who I was really looking forward to were next on stage… Everything Everything finally made their appearance on the THIS IS TOMORROW stage. 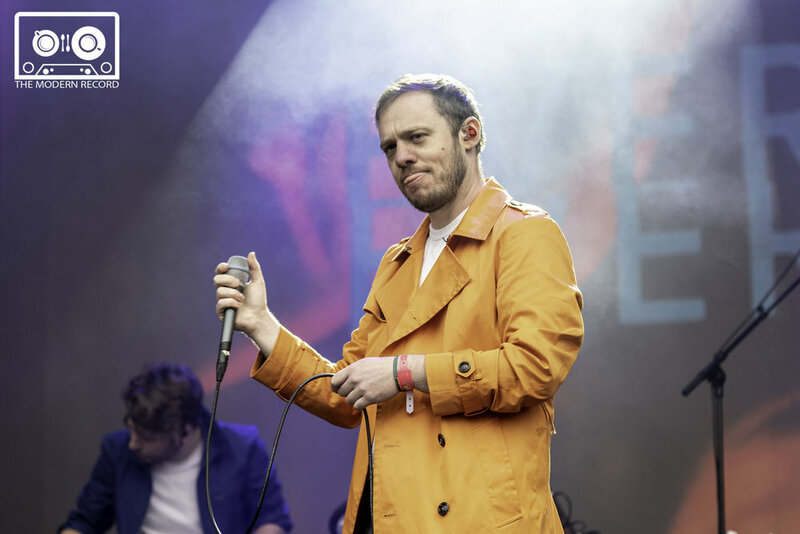 With lead-singer Jonathan Higgs appearing on stage wearing bright orange coat with plain-white t-shirt and black trousers and rest of band wearing blue fleeces and trousers, which represents the colours of the band’s new album ‘A Fever Dream’ official art-work. 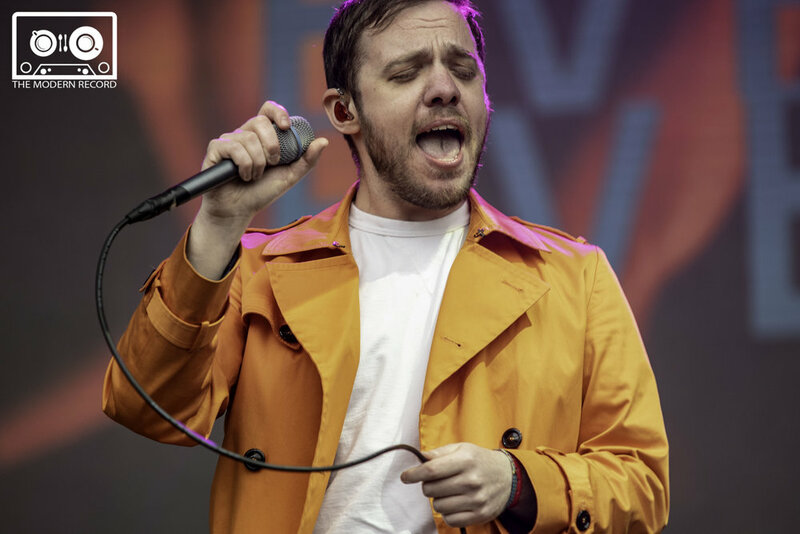 Everything Everything played one-hour set playing tracks off all four albums by the band, playing tracks such as ‘Regret’, ‘Kemosabe’, ‘No Reptiles’, ‘Distant Past’ and ‘Cant Do’ and ‘Night of the Long Knifes’ off their brand new album ‘A Fever Dream’ released last year. As band appeared on stage jumping right into “Zero Pharaoh” the crowd descended into fury, jumping around and chanting words back to the band. The atmosphere continued throughout the band’s set and got louder nearer the end. The crowd’s engagement during bands well-known tracks ‘Regret’, ‘Kemosabe’, ‘No Reptiles’ and especially on their closing set track ‘Distant Past’ the Newcastle crowd were having the best time ever. Following this band since the beginning and seeing them gradually get bigger from album to album and making their name in music industry is incredible. I was expecting them to perform Breadwinner from their latest new EP ‘A Deeper Sea’ but sadly the band didn’t perform any material from the EP which was disappointment but a part of that set was great performance. Everything Everything were definitely the correct choice to open up for Catfish & The Bottlemen who were next up on stage. Finally closing an incredible evening at very first day of Newcastle's newest outdoor music festivals ' THIS IS TOMORROW ' were Welsh rockers CATFISH & THE BOTTLEMEN. As the band were ready to approach THIS IS TOMORROW stage, the Newcastle crowd were ready and were already in fury, chanting, moshing and even orange smoke flares going off as band jumped into their number one single 'Homesick' followed by 'Kathleen' which two tracks off their debut album 'The Balcony' which made their name. The band's headline set continued to play tracks off their debut album and their second album 'The Ride', the band couldn't help to keep the atmosphere going playing 'Soundcheck' and 'Pacifier' which literally made entire venue jump from the front to the middle to the back, every single festival couldn't get enough of this band. The arena was spilt into two half's and so many people wanted to be in the packed arena nearest to the stage but security could let so many in, which many festival goers were disappointed with. 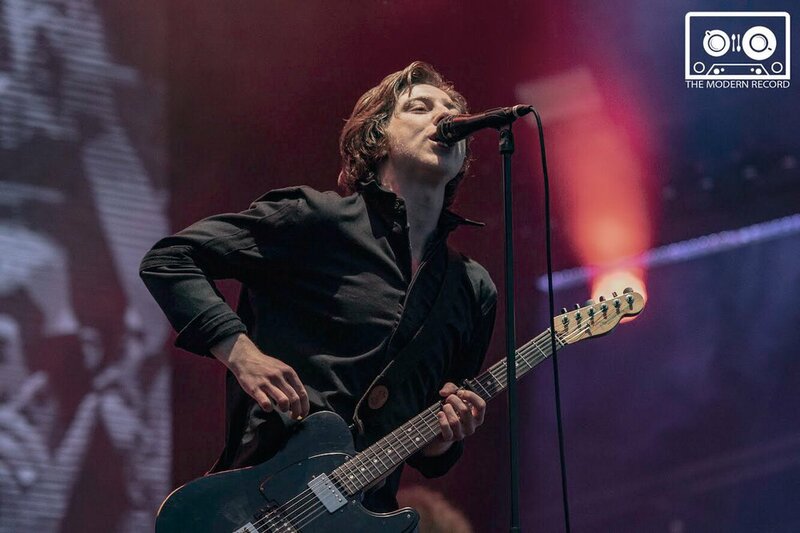 Although this didn't stop people at back not having a good time, as frontman 'Van McCann' and co. kept playing well know tracks such as 'Business', 'Rango', 'Fallout' and 'Twice' the band also made time to play slower tracks such as 'Heathrow' and 'Hourglass' and '7' which allowed band hear every single festival singing the lyrics back to them which really made it performance to remember for the band which was kicking off their live comeback, It's certainly going to be some summer for Catfish & The Bottlemen. As expected Catfish & The Bottlemen finally debuted some brand new music which excepted to be on their forthcoming brand new album which probably be released later this year. 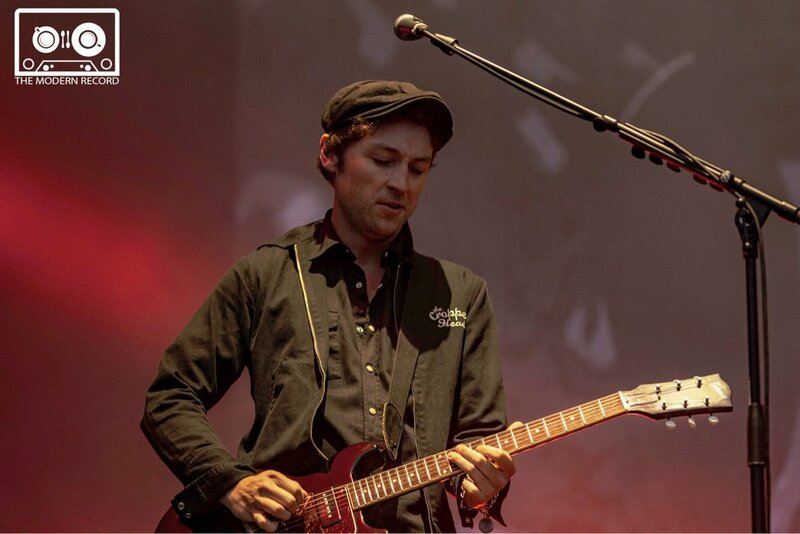 The band performed a song titled 'Fluctuate'. 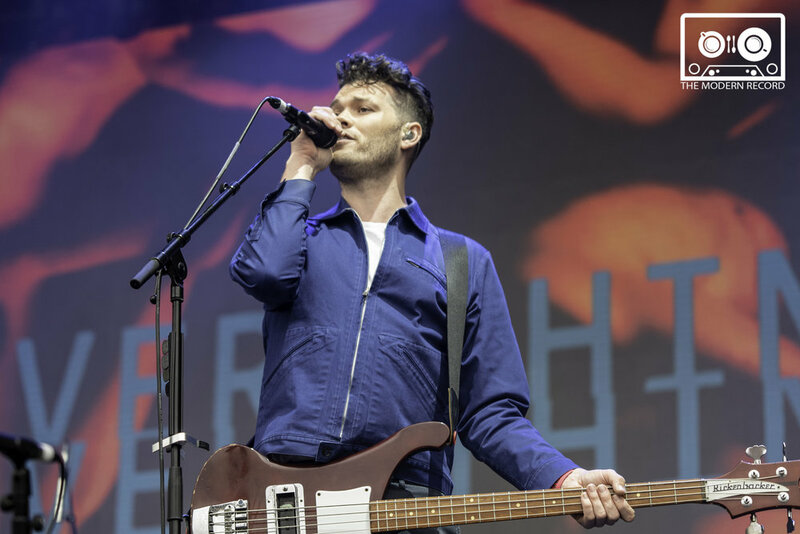 The song seemed to go down well with the crowd as festival goers danced to new song and clearly was given fans something to expect off the new album. As Van McCann and co eventually wrap up their set, the band couldn't walk away from the stage until they played fan favourites 'Cocoon' and 'Tyrants' which gave fans last chance of the night get dancing, singing along mad and which clearly is what happened. It was prefect way to end the first day of Newcastle's newest outdoor music festivals also made up for the fact it was raining most the of the day which was downer for festival goers. Overall the first day of the festival was overall success and we can't wait to see what day two shows.